LN Design Co. art directs and designs Architecture MN, a publication of the American Institute of Architects Minnesota. Together with the editor, writers and photographers, we tell the stories of the amazing architects, places and spaces in our state. Sawmill is a private wealth management and trust firm. In coordination with their move to new office space, we created a new logo and visual system. The new brand is clean, modern, and warm. Elements of the system are inspired by the founding families’ historic roots in the lumber industry. Interest for Others is a new nonprofit organization that encourages people to donate earned interest to charities they love. For the launch the program, we created a donation website and this introductory video, as well as marketing materials for participating charities. Our continued work includes social media and ongoing communications. Franklin Partners represents closely-held businesses in sale, merger, and recapitalization transactions. Communication materials reflect their unique perspective and focused, hands-on approach. In collaboration with the firm's senior advisors, we also help present the stories of their clients' niche businesses. We worked with Disability Linkage Line, a provider of free services to people with disabilities in Minnesota, and its partners to develop a new name and brand system that communicates its comprehensive approach to helping customers navigate the state's many services, resources, and options. 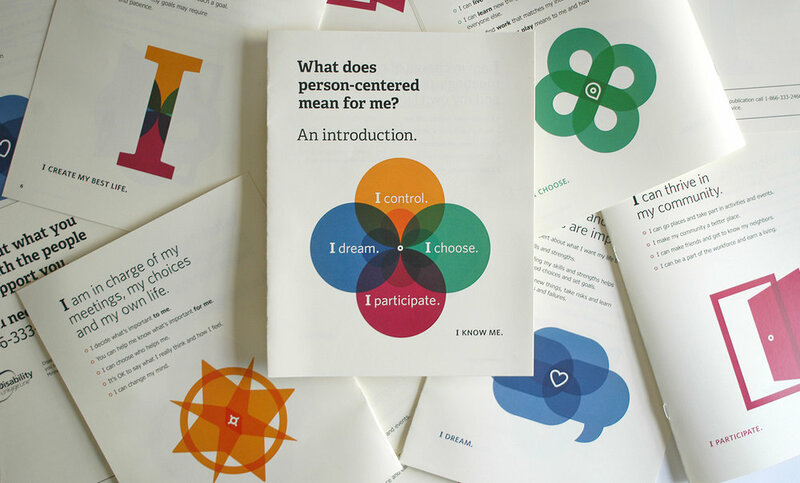 Person-centered Guidebook: We also worked with Disability Linkage Line to create a system of visual icons and guidebook to help explain the concept of person-centered choices. Engaging and affirming, the icons reinforce the key messages. For the Science Museum of Minnesota, we created a visual system and a name for their education offerings which include field trips and outreach efforts with Minnesota educators. The name SciEd is an identifier that works with the Science Museum brand. A photographic library of kids and objects of science was developed to illustrate the wonderment and fun of hands-on learning. 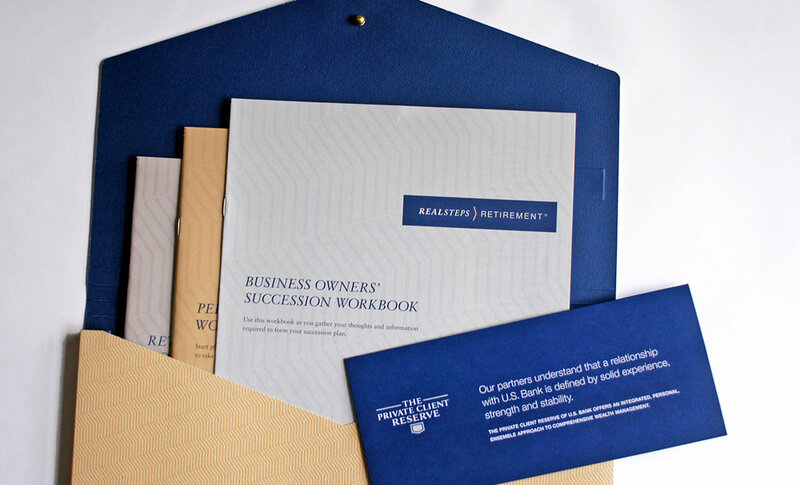 The designers of LN Design Co. have worked with U.S. Bank for many years to create materials for their Wealth Management audiences. Most significantly, we created a logo mark and a library of over 60 printed and digital pieces for their high-touch financial planning service, RealSteps>Retirement.